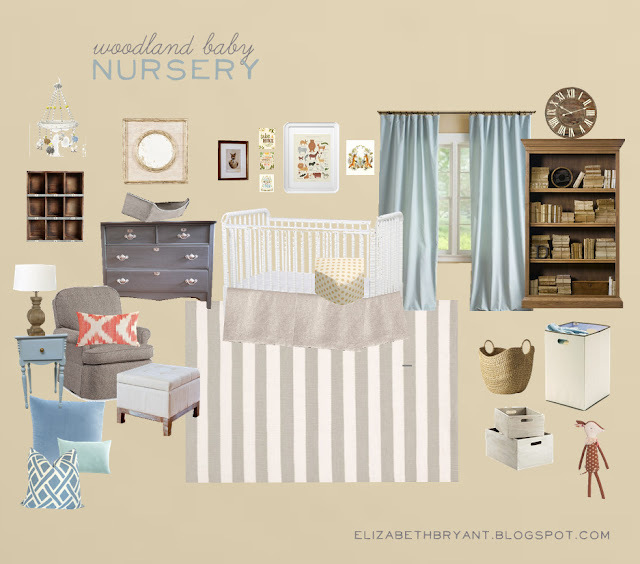 One of my clients asked me to help her design her baby's nursery. She wanted something woodland inspired, using some items from their recently sold cabin but still sophisticated. She isn't finding out the gender so I had to create something that was gender neutral and I love the way this turned out! If you're interested in a custom mood board, please e-mail me. You can find more information on pricing and information here. *To be respectful of my client, I won't be sharing the sources for the items in the room board. Thanks!